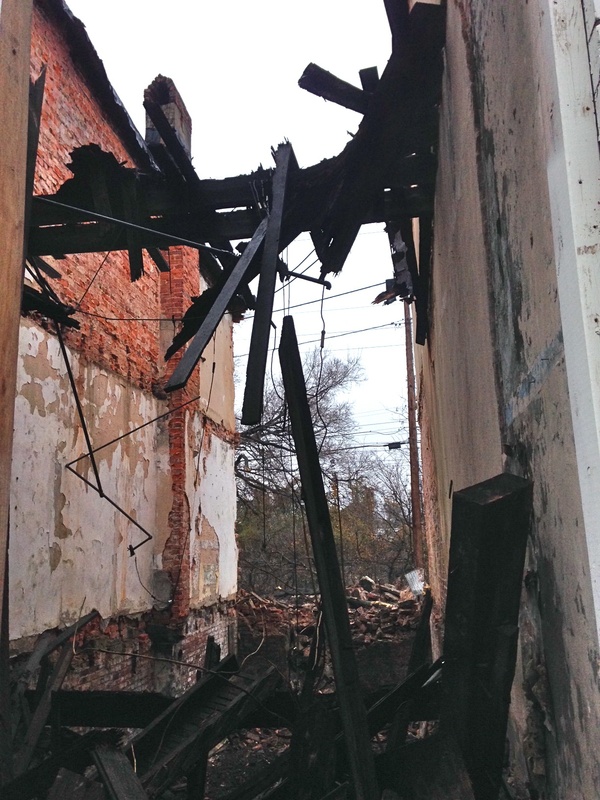 Judging by the condition of the house, nobody has lived in 2422 for quite some time: the roof is completely gone, the framing lumber has rotted away to mush, and knob and tube wiring is strung across the remains of the building. There was nothing physically salvageable from 2422, but we thought we’d share the history of its first inhabitant, Thomas Bean. Thomas Bean was born in Baltimore in 1866. He lived with his mother, Isabell Bean, and four siblings. 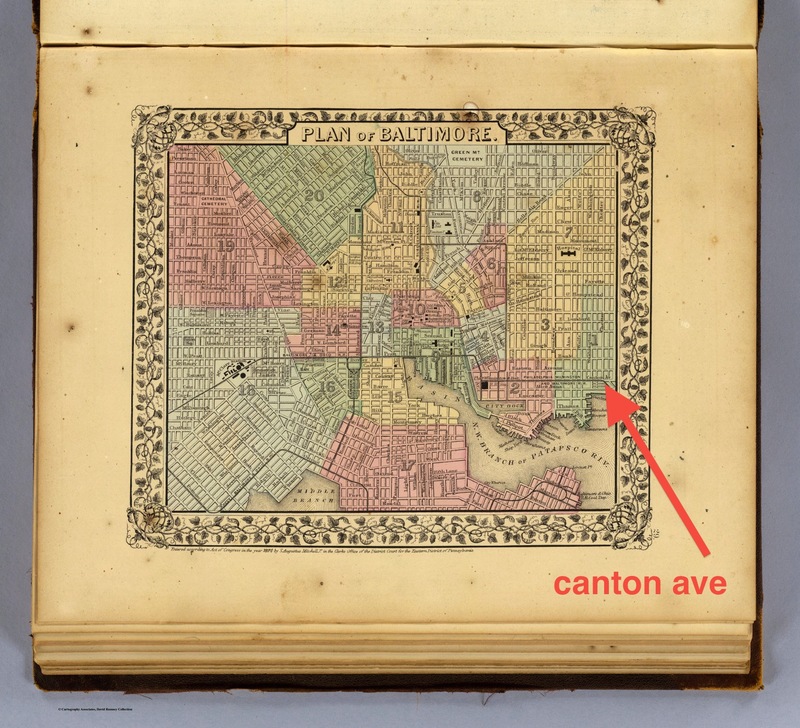 Isabell’s profession is listed as “keeping house.” The 1870 Census didn’t list street addresses, so it’s tough to say exactly where the Bean family lived, but the closest post office is listed as 246 Canton Ave, a street that we now know as Fleet Street. By 1880, the Beans had moved to 57 Caroline Street. By this point, Isabell had become a vest maker, and little Thomas Bean, only 13, was a cigar stripper. Thomas’ sister, Henrietta, was a buttonhole maker. Where was Thomas in 1890? Who knows. The 1890 census was destroyed by fire in 1921. This disaster spurred Congressmen to push for the establishment of a National Archives. By 1900, Thomas had married Dora Kentner, and the couple lived with Dora’s German parents at 2204 McElderry Street. Thomas, now 34, tended bar. Which brings us to Eager Street, or Eager Place as it was called in 1910, just three years after the first houses were built on it. Thomas and Dora, along with their three daughters and Dora’s mother, moved to 2422 Eager Place when it was first built. By this point, Thomas had become an engineer at a can factory, and his wages enabled him to own a house, the one without formstone that you see below. By 1930, Thomas was 64 and had become an engineer for a steel company. His daughters had long since moved out, but he and Dora remained at 2422 Eager Street, along with a family of boarders. Neither Dora nor Thomas show up in the 1940 census, so it’s likely they passed away before the census was taken. This is 2410 East Eager Street. As you might be able to tell from the charred areas surrounding the windows and doors, the house fell victim to a fire. 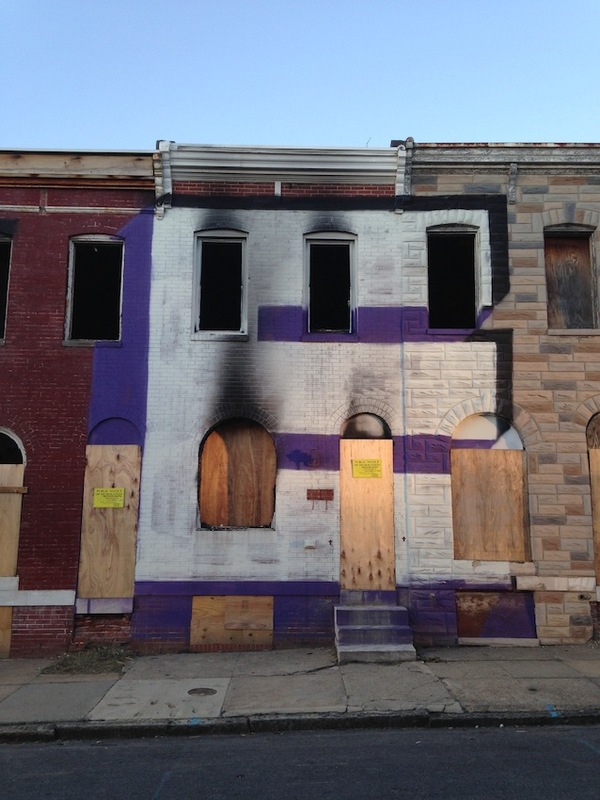 The careful observer will note that the charring is over Steve Powers’ mural, meaning the fire happened within the past few months. 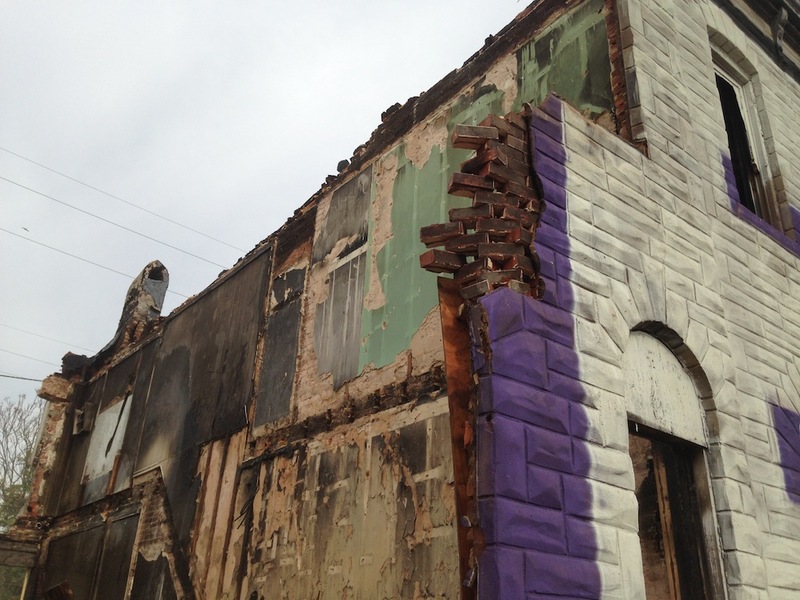 In fact, this house and parts of the house next door, 2412, burned just weeks after the completion of the mural. 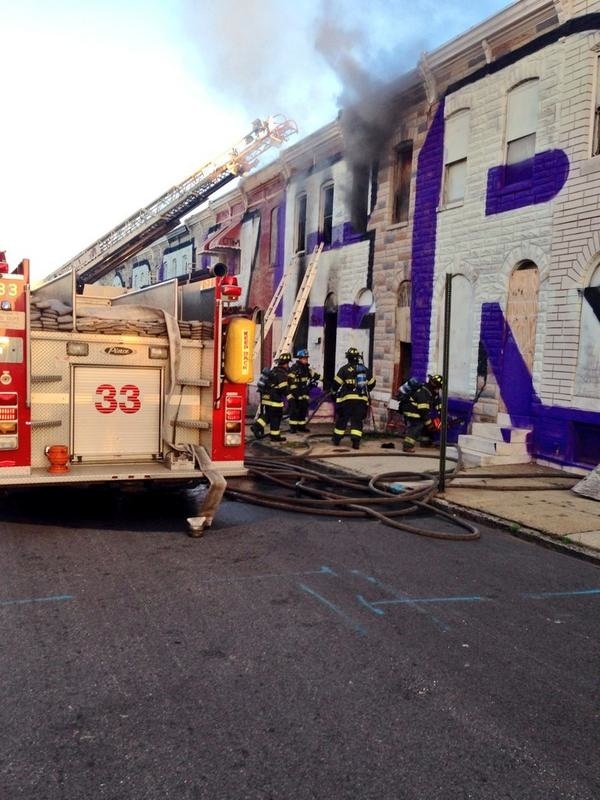 Below is a shot from the Baltimore Firefighters Union’s Twitter page showing what the house looked like on August 14, 2014. 1940: James Trjnecky, an apprentice linesman with his wife, Rose, and son Jerome. 1930: Mary Hlubeck, a Czech widow who lived there with her two daughters, Anna and Mary. Mary did housework for a private family, and her daughter Anna worked as a salesperson at a dry goods store. 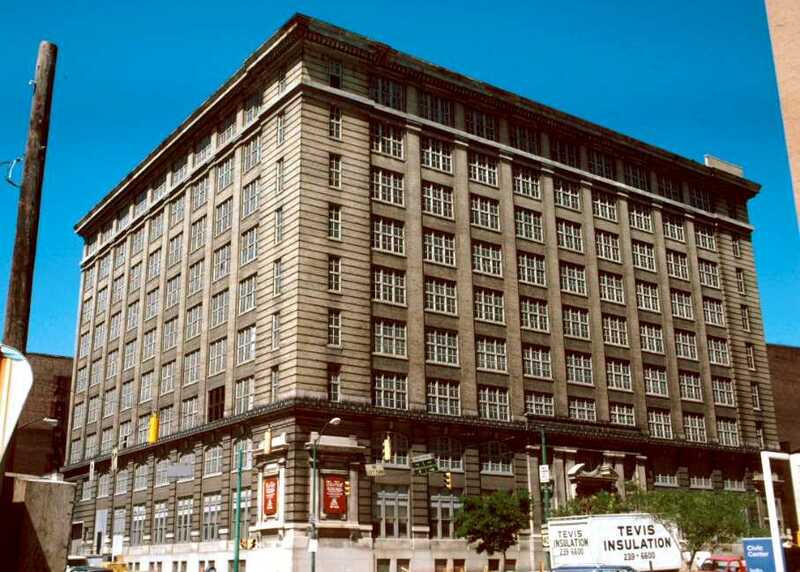 1920: Albert Smcrina, a Bohemian clothing wholesaler, along with his wife, Bessie, and daughter Mildred, lived in 2410. 1910: Frederic Thon, an osteopath, lived with his wife, Mary, a psychic healer. Just next door to the Thons lived the Block family, in house #2412. Seeing as the houses were built just a couple years before the census was taken, it’s a pretty safe assumption that the Blocks were the first people to inhabit 2412. We’ve already mentioned that a firefighter was the last person to set foot in 2412, so now we’ll reveal that the man who was likely the first person to set foot in 2412, Mr. John H. Block, was also a city firefighter. The cavity of 2400 Eager Street. The Getz family lived in this space over 100 years ago. We’ve been working in and around 2400 Eager Street, so we figured we’d tell you a little bit about the folks who lived here in 1910, just a few years after it was first built. Caspar Getz was born in Baltimore in 1859 to German parents. He worked as a laborer in an ice factory. Caspar was married to Maggie, also a Marylander of German ancestry. 2400 Eager Street in 1910 must have been quite a busy house- Caspar and Maggie lived there with their 8 children! Constant, 24, worked at the ice factory with his pops. Maggie, 18, worked as a clerk at a department store. Then followed Charles, John, Edward, Albert, Evlin, and baby Annie. 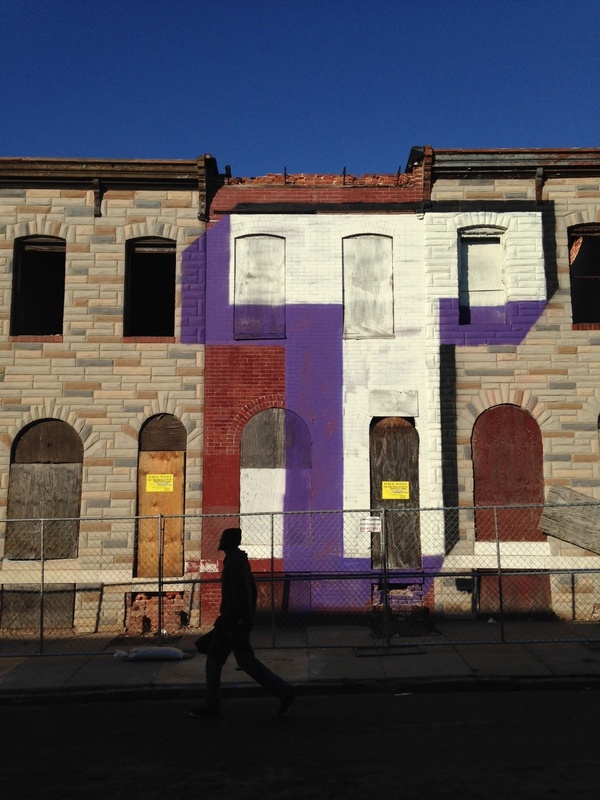 Do you know someone who lived on the 2300-2400 blocks of Eager Street? Would you like to share your memories of the neighborhood? Contact us and tell us your story! The house at 2323 Eager Street was razed several years ago, though one can still find it on Google Street View. Seeing as the house no longer exists, we’re not deconstructing it as part of our project. But, seeing as the house was once on Eager Street, we’re interested in the history of the place nonetheless. Amela, niece, 22, an examiner at Henry Sonneborn & Co.